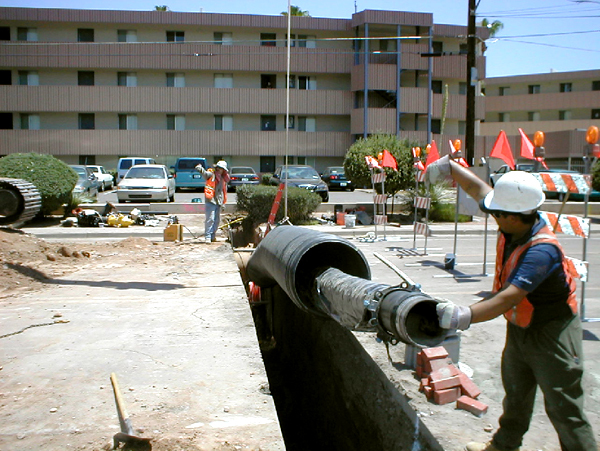 The Rural-Lemon-Terrace project involved water and sewer improvements to replace old waterlines and upsize and relocate sewers that were impacted by the Metro Light Rail Project in Tempe. The waterline improvements included replacing 6- and 8-inch waterline with 3,000 feet of new 8- and 12-inch DIP. Sanitary sewer improvements included replacement of 12- and 15-inch sewer with 2,200 LF of new 12-, 15-, and 16-inch VCP. 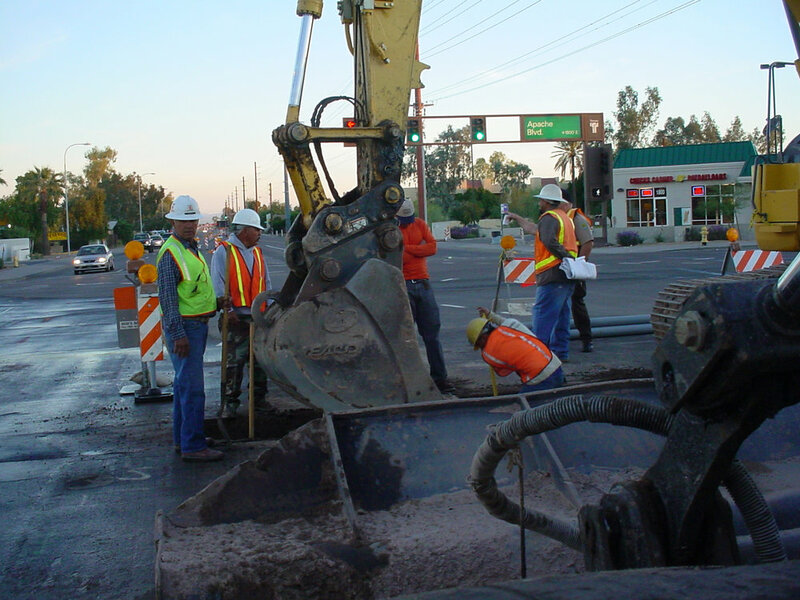 Additionally, we installed 14,000 LF of 6-, 8-, and 12-inch waterline on Apache Boulevard from Normal to the Tempe Canal and from Mill Avenue to Terrace.